News: amateur/hobbyist era is history. A launch as a professional live act is scheduled for summer 2018. Hear the sound of a full liveband! 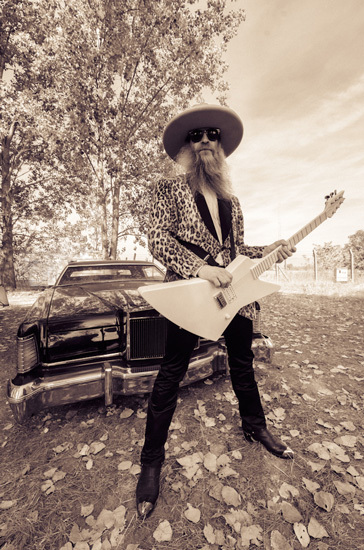 Powerful guitar-riffs, drivin' boogie-grooves and live music in the styles of the original artists. Top sound quality and party-feeling that's what this unique live show is all about! 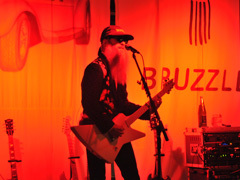 Bruzzler's reputation as one of the hottest ZZ Top tribute acts has led to gigs as opener for Bands such as Jon Bon Jovi and Austria's No.1 pop star Reinhard Fendrich as well as several TV appearances. 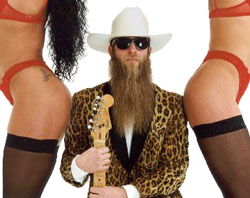 The show covers a stunning bandwith of styles from classic rock, pop and latin hits to some recent chartbreakers. No - WYSIWYG - What you see is what you get. "BRUZZLER" plays and sings live! The exciting live performance is enhanced by an individually programmed light show.